Can you believe it?! Tomorrow is the first Wednesday of December which means we should be testing the tornado outdoor warning sirens at 5:00 p.m. But since the weather is currently forecasted to be uncooperative tomorrow, the test has been postponed until Thursday, 6 December 2012 at 5:00 p.m. The test should last about one minute. 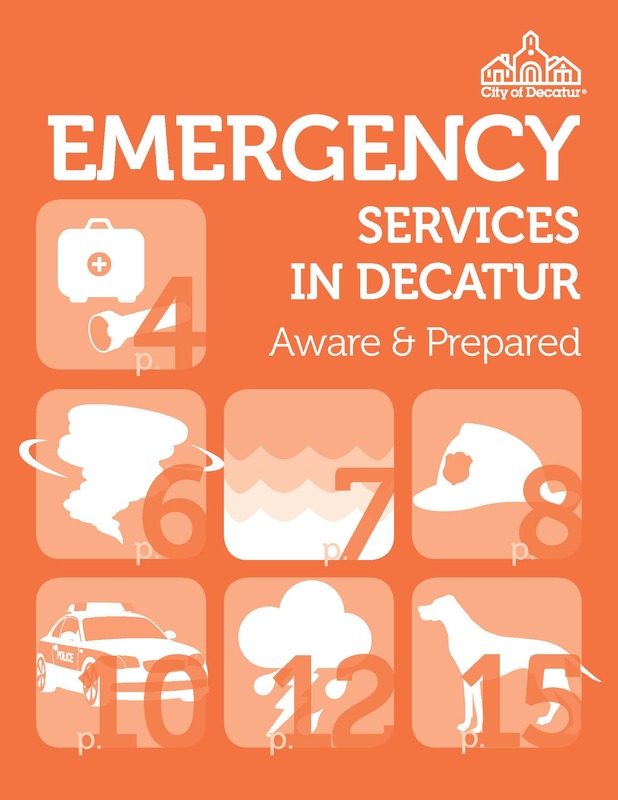 If you have questions or want more information about the siren system, check out the Siren page on the City’s website or contact Assistant City Manager Tony Parker at 404-370-4102. UPDATE – The siren test has been postponed until Thursday, November 8th at 5:00 p.m. 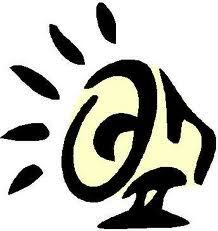 Tomorrow is the first Wednesday of November so we’ll be testing the tornado outdoor warning sirens at 5:00 p.m. The test should last approximately one minute. Should the weather become inclement tomorrow, the test will be postponed until Thursday, 8 November 2012. Did you notice the special Emergency Services section inside your November Focus? It’s the orange section right in the middle and it’s chock full of tips and tricks to help you prepare for potential disasters that could occur in & around the City. In case you missed the print version, you can peruse the Aware and Prepared publication here. Tomorrow is the first Wednesday of October so we’ll be testing the tornado outdoor warning sirens at 5:00 p.m. The test should last approximately one minute. Should the weather become inclement tomorrow, the test will be postponed until Thursday, 4 October 2012. 2012 AJC Decatur Book Festival weekend forecast – hot and humid with slight chance of thunderstorms. In the event that a major storm does make an appearance, festival goers should look for the “Storm Shelter Area” signs designating safe places to seek cover from the elements. You will find them at City Hall (509 N. McDonough Street) and the Old Courthouse on the Square (101 E. Court Square). And if you’re not close to either of those places, you can also pop in to any of the other author venues to seek shelter. 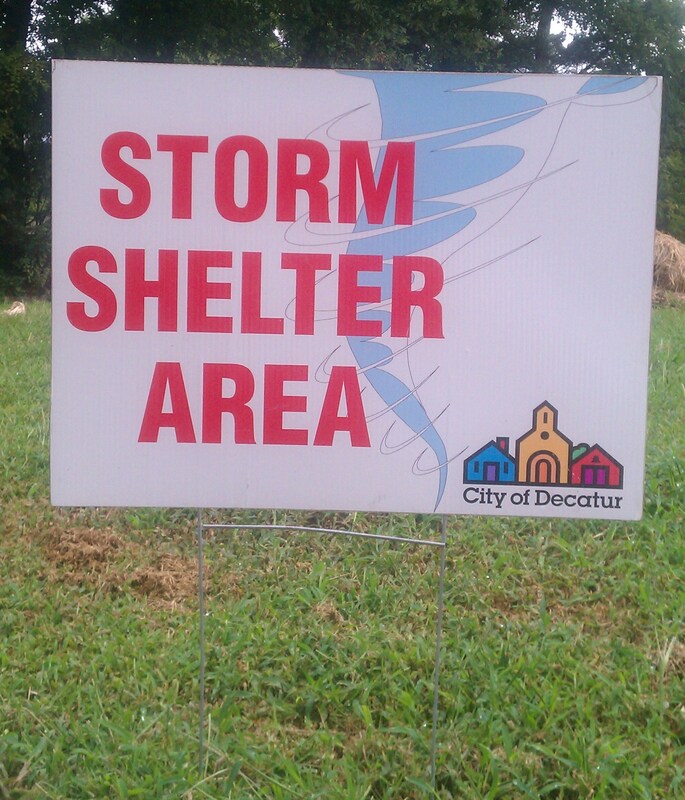 If you have any questions about storm shelters, contact the Decatur Fire Department at 404-373-5092 or visit the First Aid tent on the MARTA plaza during the festival. August 3 • 1:30 p.m. The work on Scott Blvd is complete. August 3 • 9:00 a.m.
A power pole on Scott Blvd caught fire last night so the power is out on Scott Blvd from Willow Lane to Superior Avenue. Decatur Public Safety and Georgia Power are on scene and it is estimated that the repairs should take two to three hours. Be advised that the two in-bound lanes on Scott Blvd are blocked, so use alternate streets if you must travel in this area.